Rooms from $67.20 per night. With free breakfast Wi-Fi access and a seasonal outdoor pool the Comfort Inn & Suites Statesboro is an amenity-filled option for a Statesboro stay. 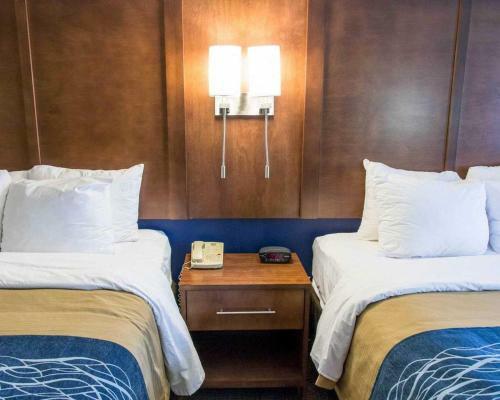 The low-rise Comfort Inn & Suites has 77 traditional rooms that include microwaves mini-fridges coffeemakers and cable TV. Select accommodations also feature jetted tubs and pillowtop mattresses. Guests start their mornings with a free newspaper and a generous buffet of hot and cold breakfast favorites. Later they can unwind with a workout in the fitness room followed by a dunk in the heated outdoor pool. The hotel also offers fax and copy services guest laundry facilities and a 24-hour front desk. The Comfort Inn & Suites is off Highway 67 two miles north of downtown Statesboro and four miles from Georgia Southern University. Key businesses within a 15-minute drive include the East Georgia Medical Center Briggs & Stratton Corporation and Nash-Finch Food Distribution. Families enjoy Splash in the Boro Water Park less than five miles from the hotel. Savannah/Hilton Head International Airport is 48 miles away. 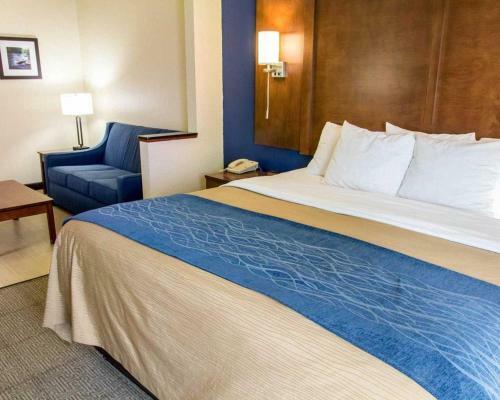 Add Comfort Inn & Suites Statesboro to your free online travel itinerary.